Ahead of the fourth Gallows album 'Desolation Sounds' which is due to be released in November this year, the band have put out a new single as a split release through their own label Venn Records and Play It Again Sam. 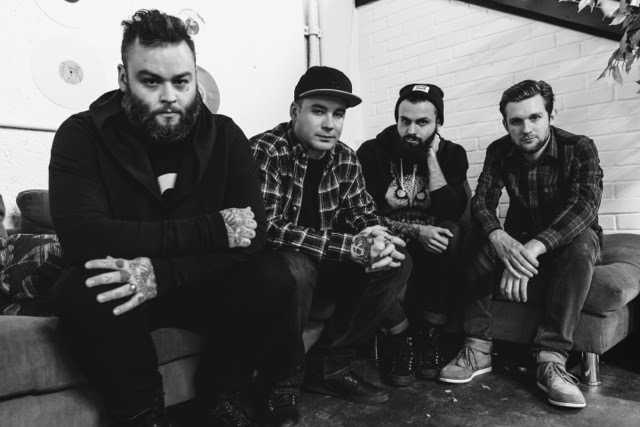 'Chains' is a slow, powerful and dark track that is one of the heaviest bits of music the band have put out to date. Recorded in one day, there is a real edge attached and a intensity that has maybe been lacking since the 'Grey Britain' days. The video is also worth a mention, shot in Toronto by director and musician Josh Reichmann, it's almost a short film than a music video. There's dark and sinister undertones throughout with the black and white effect helping to enhance the eerie unforgiving nature of the music.